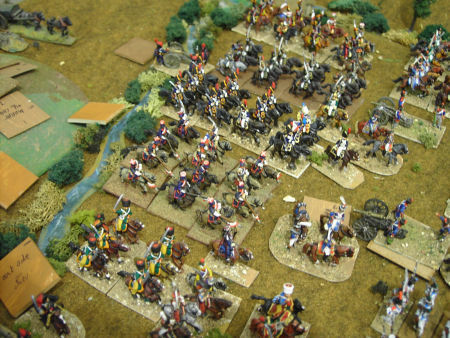 Highway to the Kremlin board game campaign came up as I was prepping my 15mm Russians for 1812. It does not seem to be republished any time soon. As I don’t own it, the only thing around are the map, (on Vassal) , some bits captured here or there, and the other games done By Kevin Z which I have and know. An old dream, finally about to come true, using properly his games to play campaigns with miniatures. The problems for that in another article. Studying the 1812 campaign (and having been on some of the spots too!) it comes to mind: how could it be really different? First our beloved Emperor (ahem?) could have crushed the one main Russian army more or less forcing them to peace as then he could spread around and sort of conquer. I am quite sure it was his idea. This is obvious in a wargame and maybe reachable especially if the Russian player is making mistakes. Both sides having the benefit of historical hindsight, napo a bit more conscious of the scales and winter etc. 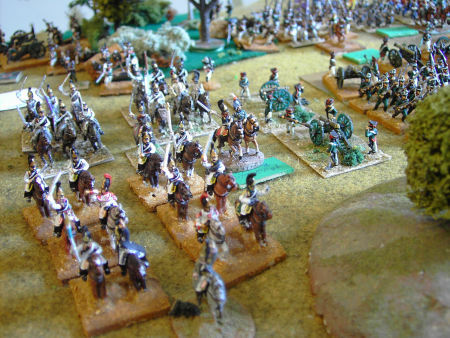 and the Russians actually aware at the beginning that they face nearly twice their field army in strength. If they just delay and roughly it then ends up the way it was, for more or less the same reasons: logistics. So if in many ways, bar a couple of crushing victories, it would end up more or less the same, why play a long campaign? First I always wanted to see if the options of a less self-confident napo, with a more deliberate advance grasping the logistical problems and more, would make it different. Mainly if he stops in the middle, to winter, reorganize, pay attention to and back 1000s of stragglers, sends back properly dismounted cavalrymen for the future, together with cadres of depleted battalions and so on. The way the Russians had their armies, they can but up to a point, have more troops, as they don’t put in line untrained guys bar some militias but it was an expedient and actually some were somewhat trained and uniformed. They don’t really do “levee en masse” as their conscripts are in for life or so and this dangerous concept is not in the mind-set of those in power (you never know if they will relinquish their weapons and go back to work the fields for you). It just does not fit the system. They could theoretically have a sort of “only for defence of homeland and duration” recruiting, especially if calling “landlord’s volunteers” units, (of which I did a whole cavalry division for 1813 what if) and provisional 4th bns for ex. It could be envisioned in a fighting that trailed till 1813. 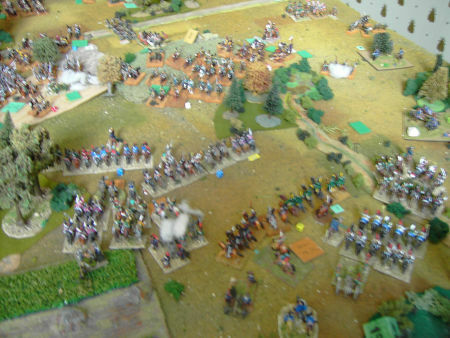 I found several units (which being so nice, got painted, inevitably) of locally raised guys, not to speak of the mass of Cossack opolchenie, who did not have time to get in the fight (cf. what I said about training above). All this to help the Russians with numbers and get the thing interesting, and still within the possible. I would put one division of militia in each army, one provisional division facing Sweden, one in each peripheral army freeing one corps (my friend Langeron) to join the main army in 1813. In H to the K game it looks like the French have a “Paris morale”, but not the Russians. I disagree, what can happen to napo? That he got beaten, left to fight another day? That’s what happened. Or get killed. The idea is to look at the aims of war, on both sides. The Russians got in it, first because of the nobility visceral hatred and more, fear of the ideas of the French revolution (and they were right, it sort of brought them the 1917 one), together with the economy and impossibility of the continental blockade, the Napoleonic obsession, very typical of this frame of mind created by the French revolution, the Jacobin thinking, (later amplified by marxism and the Russian revolution and its heirs, still wishing), that they can and should control everything. Of course in 1812 with administrative controls and numbers that would make laugh any of our Orwellian states, hardly they could. Moreover the Russian merchants and nobles need the money and the goods from overseas trade, which means British (and American) trade. This blockade is against every interests there. So any way they could feel to shake this forced agreement, (Tilsit 1807) they would. Sneakily or not. So the way it was the morale factor, the Clausewitzian aim of war, bring down the enemy aims and morale to negotiate, is in the Russian hands. It looks (from the memoirs of one French there) their fears of the upheavals of the French ending serfdom were unfounded as the French leaders (well napo-) thinking they were new nobility (ever trying to be accepted by the old one- in truth vainly- but newly rich egos seldom see that) did not do it after all. But what if they did? Could help a bit the food problem. Or not. I think it could be balanced by a much bigger efforts from the landlords to support the war as their fundamentals were threatened and if your locusts drain the locals of their suplies, politics do not matter, they will hide stuff and hate you (see Suntzu and history). On the other hand, it might or not (as contrary to France ) be that many of the low clergy were not from nobility nor had much ties with it, but were quite close to the people and very cultured; work for an antichrist / or save the Orthodoxy campaign vs the new Mongol/tartars/ Poles? Here I will have a big digression, still on the subject somehow, to the depth of Russian soul, mostly totally misunderstood and ignored by “the west”, still nowadays, and certainly by napo. They still have a misplaced and acute sense of persecution, from the outside world. In 2014 I saw in Moscow a big exhibit called the Ruriks, mainly set up by the Orthodox Church. And yes I went there with the usual westerner caution about propaganda blabla etc., (though as a French any exhibit with the media here, media who claim at 75% to be leftist and heavily state sponsored, well my critical brain could be well trained to pinpoint the not so obvious). For the past 6 years I spend 4-5 months a year in Russia living with and like a local, not a self-centred, cut off, wealthy expat. You do learn a lot and it opens your eyes, especially slowly dismantling a huge chunk of your acquired “knowledge” of 40 years of school, media exposure and considering “them” as the enemy for a while, well, a long time. In this show and the subsequent long discussions, ferreting on the net, reading etc. I learned a lot. Won’t go into detail not pertinent to the subject. Just mainly consider the Russians have inbred memories (I say inbred as they are not put up too much, not to offend minorities and they don’t generally get in the way of their rather remarkable integration of various cultures) of past traumatising invasions. And like the trauma of WW2 which is nothing compared to what any western nation lived then, they never “do it small”. First the Mongols: 200 years of being subjects and having towns eradicated (yes, the place empty, all destroyed, all killed etc.) for 100-200 years! (you can visit some remnants excavated, a humbling lesson. ), population down and stepped back in “progress” for several hundred years (but the Mongols did not care about religion, so orthodoxy survived) which they caught back over the 18th century. Then the next 200 years of the indirect remaining consequences, the Tartars (from Crimea, you know for ex? ), more or less subject/allies of the Turks, raiding , looting and taking your kids away for various uses, the least being sold for becoming Janissaries, and slaves, using your women, killing all they could or not, if could be used. The Russians even made 100s of km of sort of Limes south to help warn of them at least. in the 16 th century! Then the “period of troubles” in fact a civil war with different competing tsars and invasion from the then powerful Poles and Swedes roughly the middle of the 17th century, decades of it, there threatening Orthodoxy besides the slaughters and the ransacking of the place. We will pass on Charles the XII who did not have the power to do a lot of harm. Of course nowadays they would add Napoleon and Adolf. So in 1812, the invasion by mostly Lutherans and Catholics plus the “free” minded (??) Jacobins, a new danger, potentially threatening the inner soul of the land; or if it was not, easily presented as such to the masses. What is the impact of that in our political conditions for 1812, after all;)? I think you have to find some way to compel the Russians to fight it out at least significantly before Moscow, they just can’t let the whole heartland be annihilated (esp by their own scorched hearth policy). And they can’t be sure the Corsican won’t be a systematic invader, consolidating before each step forward, which coupled with the fears of the importation (which could be more likely implemented in that case) of the new ideas from the French revolution; even if the Emperor in his utter misunderstanding of people and his own trajectory, did not put them forward anymore. SO I have to find ways to have some victory conditions on both sides, but in the end modifying a die roll that brings the Tsar to negotiations. More when I find it, and actually written all the mods and rules. I cling to 2 days as don’t want one side to do battle then the other too afterwards, if it lasts more, to spread over next campaign turn.